and local talent Stephanie French, Karimah, Riwo, and more special guests. 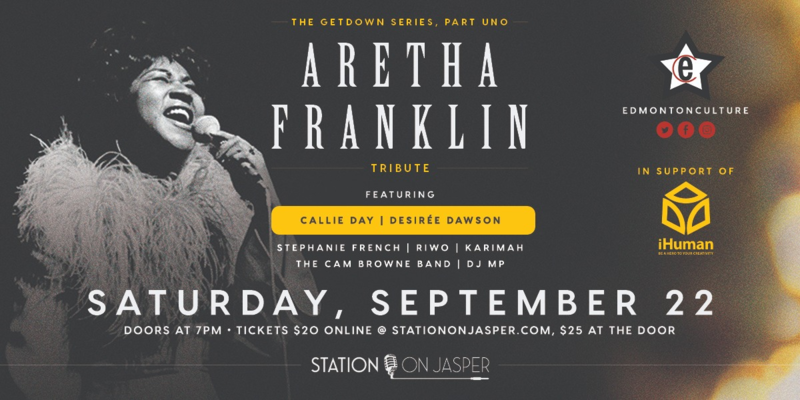 Join us to celebrate the life in song of the Queen of Soul, Aretha Franklin, who sadly passed away on August 16, 2018. Edmonton Culture presents this live music concert as Part UNO of The GetDown Series and it is in support and for the promotion of DIVERSITY in Edmonton's LIVE MUSIC scene. We need more of it!!! As always, we will be donating a part of the profits to the iHuman Youth Society of Edmonton. Come out and celebrate the life of Aretha Franklin with some amazing artists.